NEWARK, N.J. (Oct. 5, 2017) – Mayor Ras J. Baraka announced today that the City of Newark has filed a civil lawsuit in the Superior Court of New Jersey, Law Division, Essex County, against several opioid manufacturers, including the makers of OxyContin, claiming deceptive and false advertising, among other claims. The lawsuit follows an investigation into the marketing of prescription opioids by nearly a dozen manufacturers. The suit names defendants: Purdue Pharma, L.P.; Purdue Pharma, Inc.; the Purdue Frederick Company; Teva Pharmaceuticals USA; Cephalon, Inc.; Janssen Pharmaceuticals, Inc.; Ortho-McNeil-Janssen Pharmaceuticals, Inc.; Janssen Pharmaceutical Inc.; Endo Health Solutions Inc.; and Endo Pharmaceuticals Inc. It alleges these companies unfairly and deceptively marketed and falsely advertised opioids, created a public nuisance, committed fraud and were thereby unjustly enriched at the expense of the city. The city seeks to hold the manufacturers financially accountable for the damage they have caused and to force them to stop their deceptive practices. Prescription opioids, or narcotics, are derived from and possess properties similar to opium and heroin. The defendants manufacture market and sell prescription opioid pain medications, including brand-name drugs: OxyContin; Butrans; Hysingla ER; Actiq; Fentora; Opana/Opana ER; Percodan; Percocet; Zydone; and Duragesic. 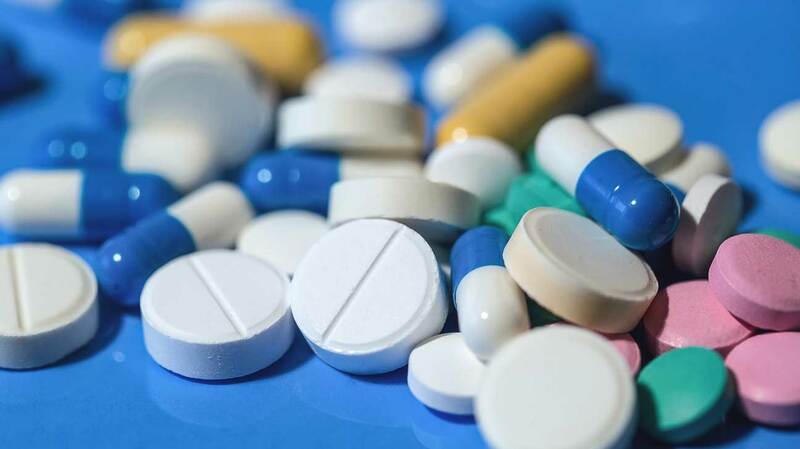 Until the mid-1990s, opioids were widely thought to be too addictive for use for chronic pain conditions, which would require long-term use of the drugs at increasingly high doses. For these conditions, the risks of addiction and other side effects outweighed any benefit from the drugs. For the last two decades, however, the suit claims that the defendants sought successfully to turn that consensus on its head, primarily by covering up the risk of addiction and overstating the benefits of using opioids long-term. The suit claims that as Purdue developed OxyContin in the mid-1990s, the company knew that, in order to expand its market and profits, it needed to change the perception of opioids to permit and encourage the use of opioids long-term for widespread chronic conditions, such as back pain, migraines, and arthritis, rather than just limit the use to short-term, acute pain. The complaint claims Purdue, together with the other named defendants, helped cultivate a narrative that pain was undertreated and that pain treatment should be a higher priority for health care providers. This effort paved the way for increased prescribing of opioids for chronic pain. Defendants’ promotional efforts dovetailed with this narrative, as Defendants began to promote opioids generally, and their own opioids in particular, as safe, effective, and appropriate for even long-term use for routine pain conditions. As part of this strategy, Defendants misrepresented to prescribers and consumers the risk of addiction for pain patients as modest, manageable, and outweighed by the benefits of opioid use. The suit also claims that Purdue deceptively and unfairly failed to report to New Jersey authorities illicit or suspicious prescribing of its opioids. As a result, the city of Newark requests, among other relief, a finding that, by their actions, the Defendants violated the New Jersey Consumer Fraud Act and have created a public nuisance, an injunction permanently enjoining Purdue from engaging in the acts and practices that caused the public nuisance, and an order directing Purdue to abate and pay reasonable damages. × The majority of overdose deaths in Newark in 2017 are attributable to prescription or illicit opioids, and overdoses are a major contributing factor to rising criminal activity in Newark. Overdoses and addiction have driven crime in the City and first responders are armed with Narcan as a matter of course, at City expense. × Naloxone has been used more than 18,000 times in New Jersey since 2014. Overdose deaths are only one consequence. Opioid addiction and misuse also results in an increase in emergency room visits, emergency responses, and emergency medical technicians’ administration of naloxone—the antidote to opioid overdose. × Even infants have not been immune to the impact of opioid abuse. There has been a dramatic rise in the number of infants who are born addicted to opioids due to prenatal exposure and suffer from neonatal abstinence syndrome (NAS, also known as neonatal opioid withdrawal syndrome, or NOWS). In New Jersey, the incidence of NAS more than doubled between 2006 and 2013, from roughly 2.5 infants per 1,000 hospital births to 5.2 per 1,000, which would amount to 532 infants in 2013. × Opioids now outpace other sources of addiction in demand for substance abuse treatment. In Essex County, where roughly half of all admissions to substance abuse treatment centers occur in Newark, heroin and other opiates represent 49 percent of all admissions, almost equaling the number of admissions for alcohol, cocaine, marijuana, and all other drugs combined. × Purdue maintained a website from 2008 to 2015, In the Face of Pain, that marketed directly to consumers and downplayed the risks of chronic opioid therapy. Purdue deactivated the site in October 2015 following an investigation by the New York Attorney General. In the Face of Pain asserted that policies limiting access to opioids are “at odds with best medical practices” and encouraged patients to be “persistent” in finding doctors who will treat their pain. While a document linked from the website briefly mentioned opioid abuse, the site itself nevermentioned the risk of addiction. At the same time, the website contained testimonials from several dozen physician “advocates” speaking positively about opioids. Eleven of these advocates received a total of $231,000 in payments from Purdue from 2008 to 2013—a fact notably omitted from the site. × Endo distributed a pamphlet to consumers with the Endo logo entitled Living with Someone with Chronic Pain, which claimed, “Most health care providers who treat people with pain agree that most people do not develop an addiction problem.” A similar statement appeared on the Endo website www.opana.com. × Janssen reviewed, edited, approved, and distributed a patient education guide entitled Finding Relief: Pain Management for Older Adults(2009), which described as “myth” the claim that opioids are addictive, and asserted as fact that “[m]any studies show that opioids are rarelyaddictive when used properly for the management of chronic pain.” This guide is still available online. Defendants also published misleading studies to enhance the perception that opioids are effective long-term for chronic pain conditions. One study asserts that OxyContin is safe and effective for the chronic pain condition osteoarthritis. The study, sponsored by Purdue, involved providing oxycodone for 30 days, and then randomizing participants and providing a placebo, IR oxycodone with acetaminophen (like Percocet), or OxyContin. The city is working with outside counsel Andrew J. D’Arcy of D’Arcy Johnson Day of Egg Harbor Township, N.J., and Linda Singer, Elizabeth Smith, the Pennington Law Group, and David I. Ackerman of Motley Rice LLC.